Our office provides a free consultation for recent DUI arrests and those	facing criminal charges. 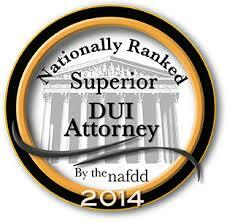 Contact us or fill out a free	DUI Case Evaluation to set up an appointment. You can also call or text (please include your	name in the text message) (206) 335-2422. 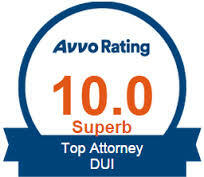 In order to keep our DUI case rates affordable and reasonable for our clients	we charge only flat fees for DUI cases. In other words, you know what	you are paying beforehand and there are no surprises. We can make payment	arrangements on your Washington State DUI case when needed and do our	best to work with each client’s unique situation. We find that most	clients prefer this arrangement to a more expensive hourly rate. If you qualify, we offer affordable payment arrangements on your DUI with	a very reasonable down payment. The flat fee includes the Washington State	Department of Licensing Hearing. For all other practice areas, our fees are dependent on the type of service. Estate planning is primarily flat fees, whereas family law and divorce	is typically handled on an hourly basis. No matter what your financial	concerns may be, speak with our representatives today to determine what	options are available! We understand today’s economic climate in the Seattle and Puget Sound	areas. Sometimes it is difficult to pay the entire legal fee in advance. If you are worried about the financial cost of our services, we offer	a variety of payment plans for all practice areas. A credit/debit card	(Visa, Mastercard, Discover and American Express), PayPal payment, or	post-dated checks are accepted forms of payments	. Monthly payments are available. Contact our office for more details. We offer easy, secure online payments through American Express, Discovery,	Mastercard, Visa and PayPal to our clients.